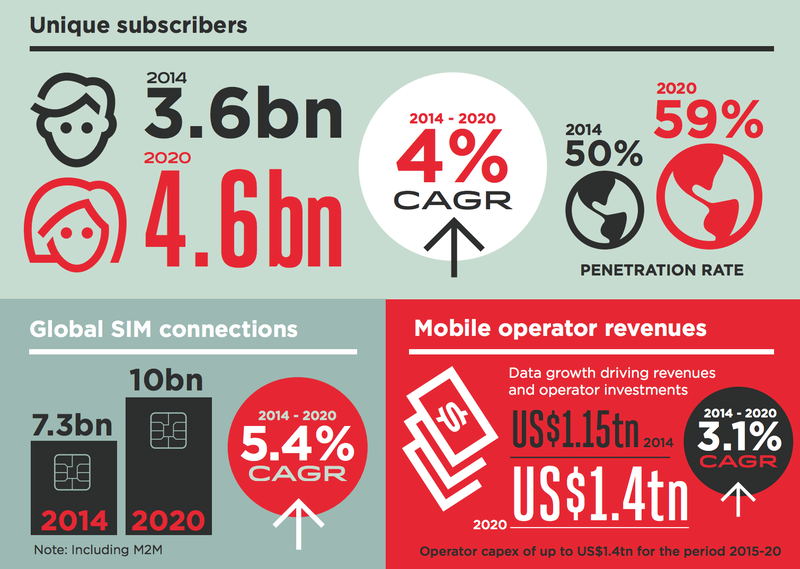 In 2015 there are more than 7 billion mobile cellular subscriptions worldwide, up from less than 1 billion in 2000. Globally 3.2 billion people are using the Internet of which 2 billion are from developing countries. By end 2015, there are more than 7 billion mobile cellular subscriptions, corresponding to a penetration rate of 97%, up from 738 million in 2000. The number of Chinese mobile phone users accounted for 94.5% of its total population by the end of June, latest data showed. In the first half, China saw 6.88 million new mobile phone users, bringing the country’s total mobile phone users to 1.29 billion, the Ministry of Industry and Information Technology (MIIT) said in a statement. The ratio of mobile phone users to population was higher than 100% in nine provincial-level regions, including Beijing, Shanghai, as well as provinces of Guangdong and Zhejiang. China will have 1.3 billion mobile phone users by the end of 2015. India is nearing 1 billion mobile phone users. The number of users choosing broadband mobile internet services (3G and 4G services) reached 674 million by the end of June, accounting for 52.1% of all mobile phone users. Many African countries are lagging with about 33% mobile phone penetration and 20% mobile broadband. Mobile broadband internet for developed countries is about 86%. 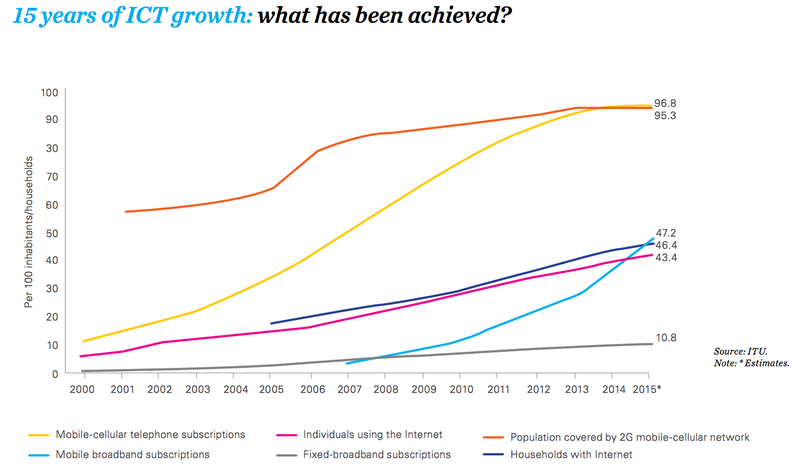 Mobile broadband already accounts for over three-quarters of connections in the developed world and, by 2020, the figure will reach 92%. In contrast, less than a third of connections are currently on higher speed networks in the developing world. However, this is projected to nearly reach two-thirds of connections by 2020. In absolute terms, the number of mobile broadband connections in developing markets will increase by 3.1 billion over the period. Fourth-generation (4G) mobile network, which offers faster Internet access than previous modes, witnessed explosive user growth last month, with total 4G users up 24.69 million from a month earlier to 225 million. 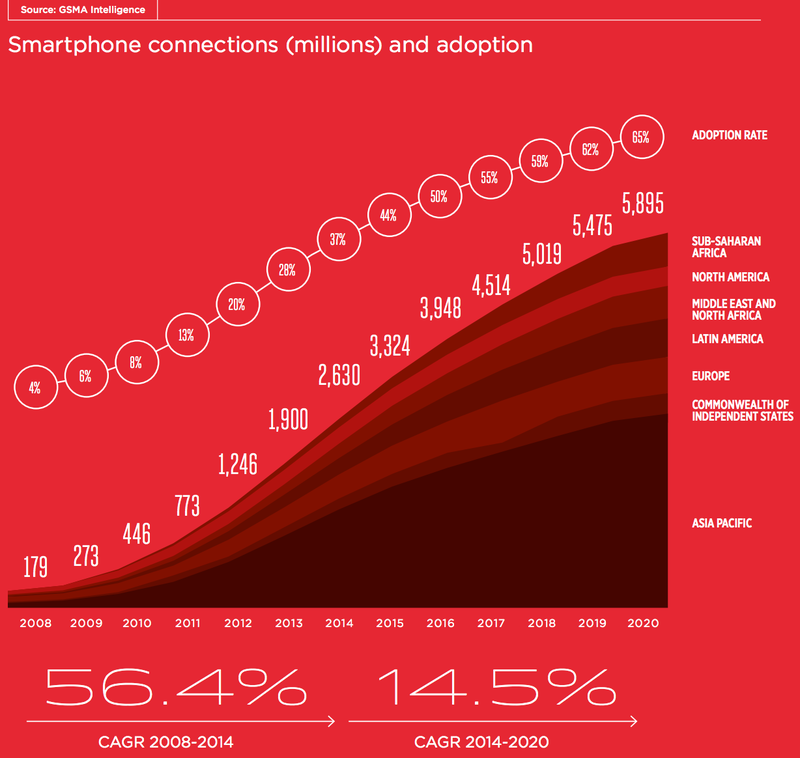 of the future growth, adding a further 2.9 billion smartphone connections by 2020. 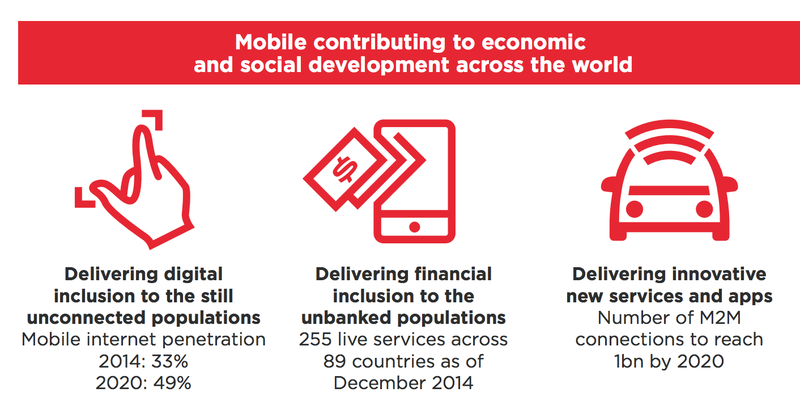 The mobile ecosystem is a major driver of economic progress and welfare globally. In 2014, the mobile industry generated 3.8% of global gross domestic product (GDP), a contribution that amounts to over US$3 trillion of economic value across 236 countries. This figure captures the direct, indirect and productivity impacts of the mobile ecosystem, but does not include broader socio-economic effects. In the period to 2020, mobile’s contribution will grow at a faster rate than the rest of the global economy, contributing 4.2% to the world’s GDP by the end of the period. The projections for 2020 do not include possible game changers like the Google Loon project for stratospheric solar or the next generation of global satellites from Google, Elon Musk and others.